Thanks to Netgalley for the ARC in exchange for an honest opinion! This did not affect my review. This is yet another book I’m surprised that I’ve heard nothing about. It has action, emotion, deep thought, a murder mystery. There’s space, a new genetic disease, a mother’s plight to save her child. 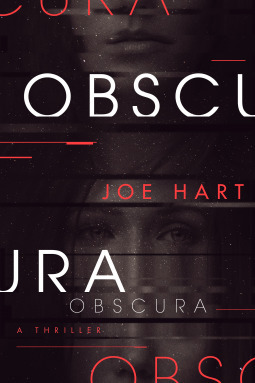 Obscura is one of those books that has everything that you thought you might want. But, I thought, it could have used a bit more oomph. The basic plot follows Gillian, a neurologist who is studying this relatively new disease that robs people, old and young, of their memories. Her husband died from it. And now her daughter has it. Shes’ trying to find a cure or treatment to it. Right when her funding gets cut, someone she used to know in school comes with an irresistible offer: If she helps NASA, she’ll get unlimited funding and time to work on it. Then, it all collapses into lies and deceit and murder. The plot is very interesting since it covers so many different areas of sci-fi, all while keeping it interesting and not too bogged down with the details. So the plot was definitely a plus, even though some parts could have had better development and been expanded on better. It was the pacing that did it for me, really. There was a lot of parts included in the book that didn’t come to a pay off and weren’t really explained until the last 3% of the book. And by then, I had sort of forgotten about things that happened. It didn’t stick in my head. I also never got really attached to any of the characters. They were good, but there was so much time invested in the plot and what was going on that developing the characters beyond moving pieces never happened. I never felt fully invested in the characters, which then made the plot a bit of a drag since, at times, it was so focused on Gillian. If you want a quick, action-packed book where you don’t have to care too much about the characters, this is the one for you.